RFB Concerts presents 2014 - The Preview. A playlist showcasing a selection of the artists performing this year. 2014 has barely begun but already it's shaping up to be a vintage year for all those involved in Rockfeedback Concerts with a series of unforgettable concerts already announced with artists ranging from emerging and exciting new talent to well-established names. First and foremost, we're delighted to be kicking on the year in spectacular style with Cass McCombs playing a very special set at The Southbank Centre's Queen Elizabeth Hall. Such grand surroundings seem appropriate not only for our first concert of the year but also for an artist with such a prolific and critically acclaimed back-catalogue. Showcasing the full spectrum of scope and scale on offer from RFB this year, January will end with an intimate sold out album launch show celebrating the release of 'Choir of Echoes', the awe-inspiring new record from Londoner's Peggy Sue. 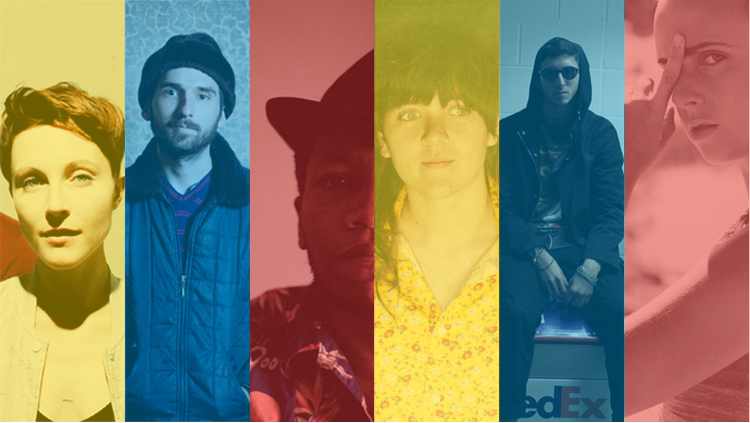 As the year stretches out before us, we'll be graced with performances from the likes of established artists such as Polica, Willis Earl Beal and MØ as well as exciting prospects for 2014 in the form of Jenny Wilson, Courtney Barnett and Mutual Benefit. For full listings check out the Concerts page or sit back and enjoy a selection of artists performing for RFB in the year ahead, below.